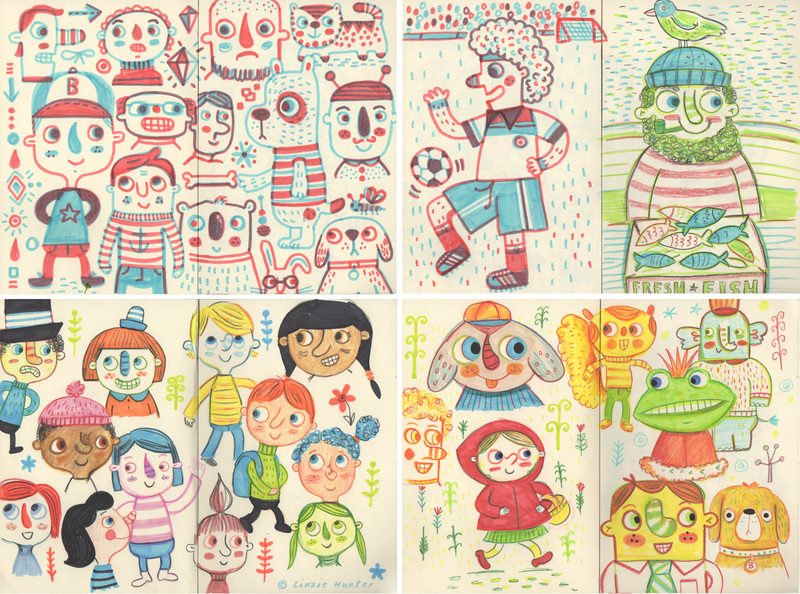 Sketchbooks are planning documents for the book covers, hand-lettered packaging, maps, editorial illustrations and other works she creates. 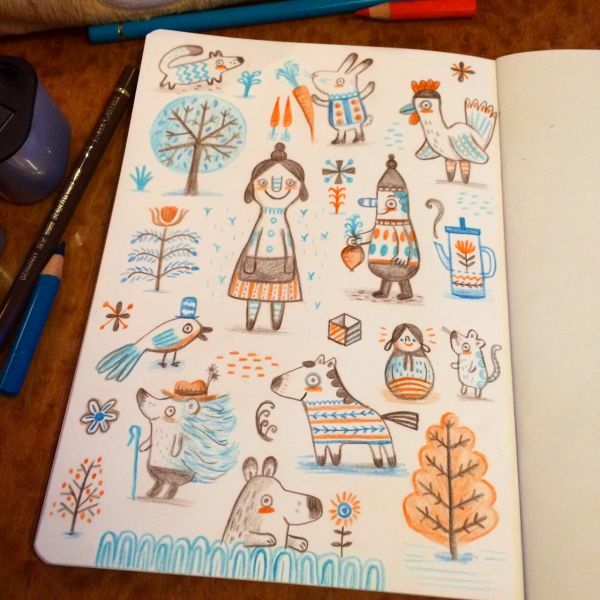 The sketchbooks help develop characters, colours, textures and other assets for her assignments. 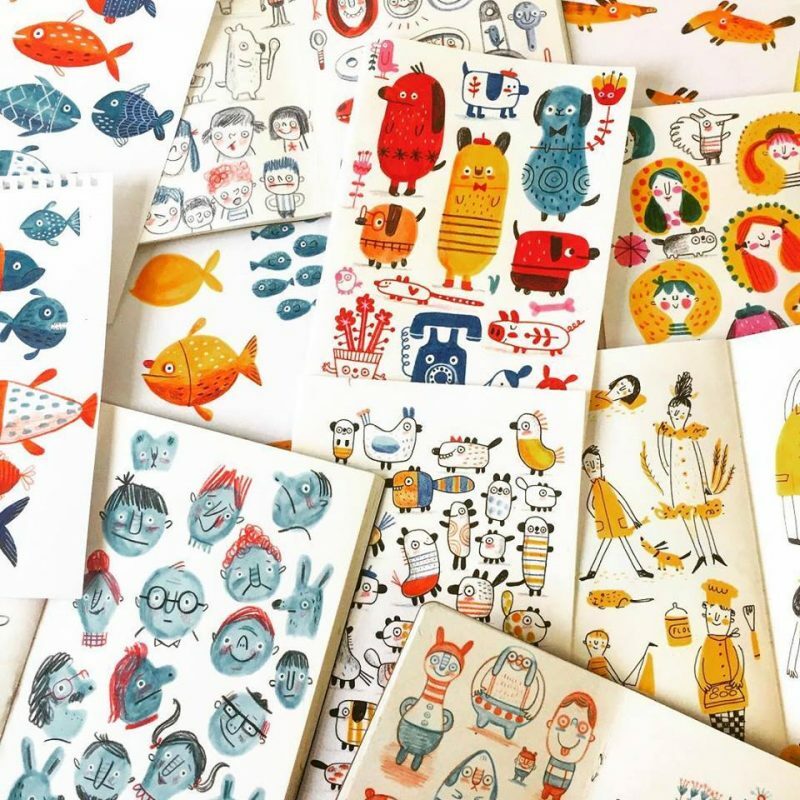 The cute figures and eclectic lettering of her work have become an in-demand look for clients, including Apple, Nike, Barnes and Noble, Macys, BBC, Hallmark, Harper Collins, Random House, The Guardian, Time Magazine and The Wall Street Journal. 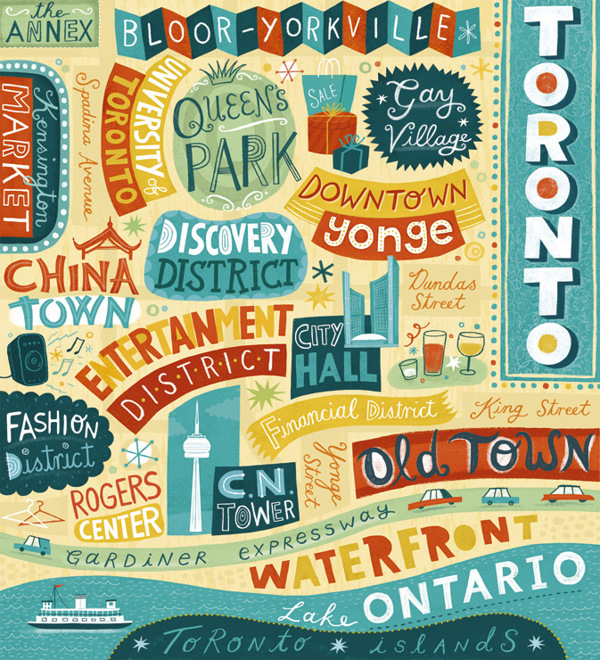 The Toronto map below was done for clothier Harry Rosen. See more on Linzie Hunter’s website, here.